Kosuke Takaya’s film was part of a Japanese governmental initiative run by an organisation called VIPO, their project, ‘New Directions in Japanese Cinema,’ takes place every year where they work with five first time directors in order to make thirty minute films on 35mm. Thanks to Third Window Films, Japanstore.jp editor Mike Sullivan was given the opportunity to speak with Kosuke. What was the trigger for becoming a film director? When I was in high school I saw the Matrix and I was really inspired by it, after that I wanted to get into the university of arts, but unfortunately I failed. I ended up going to another university and at the same time started to get into the production of indie movies, one result of which was the making of my very own zombie film. So I guess this means that Buy Bling, Get One Free isn’t your first foray into making films! That is right, I am a writer slash director, but I have produced four films, however they haven’t been shown in mainstream cinemas. They were independent movies. I worked for a company that commissions films and because of this job I worked on the planning of films by many different filmmakers in Tokyo. Returning to the subject of your latest movie, why did you choose fashion as the main theme? I read online that when you were at university you had very ‘unique’ fashion, is that true? For the project I was in, that project started a number of years ago and I watched every single movie that has been made, but I noticed they were all serious movies. There was nothing in the comedy genre, so this made me start thinking about making a comedy. The reason that I made a comedy involving fashion is because I didn’t want a theme that was complicated, I wanted something which is close to people, and of course everyone has to wear clothes every day. It is a subject which is part of ordinary life. As for my unique fashion at university – that’s true! In the movie the main character wears very unique clothes, but do those kinds of clothes actually exist in Japan? They exist for men, but they are limited to places like Harajuku. It is a sub culture like the famous Akihabara fashion which compared to somewhere else like Kyoto is quite unique, as you probably know how they have this image of having a variety of different looks. I knew that by my movie being part of the project that it could be shown outside of Japan so I thought that even if it is an international audience they would know about Japanese fashion. I think everyone can recognize the fashion sub culture of Harajuku, and we bought many of the clothes shown in the movie in a shop in Harajuku. Although, for the clothes which the character Kamono Naoto wears which show his bare chest, in fact the shop sold this with a T-shirt underneath, so it wasn’t meant to be worn the same way that Kamono does. Are there any aspects in which the character of Kamono resembles you? How did you cast this role? Actually, Yes! He is similar to me, and actually as this movie was professionally made we had to do everything properly, so we held auditions for the character of Kamono. This was the first time for me to use a professional cast and crew with a proper budget and I had never auditioned people before. It felt like a privilege and I ended up seeing auditions from forty people, but ultimately I chose Wataru Kora. He hasn’t actually been in a big production before, he mainly works as a fashion model or in advertisements despite the fact that he wants to be an actor. Once I cast him I felt that he was just right, and I guess it makes sense that as a first time director that I used a first time actor. I told him ‘this is a comedy movie, so if you feel embarrassed don’t worry, just treat your character as a larger than life person,’ and he took this really well and did an amazing job. I am really glad I cast him and the film crew were happy too. When I was at university my friends would rave about this great clothes shop, eventually I was persuaded to go and when I went I was surprised. The clothes were quite crazy, and really expensive. As it happened, one time when I went one of the clothes designers was there and it turned out he is a cult leader. You might remember in my movie that the organisation making grey tracksuits is like a cult and the head designer, played by Takashika Kobayashi, was one of the leaders. The shop was run by this cult and they tried to persuade me to join, it was quite scary and they even had chants! That experience really stayed in my head and I wanted to utilise it somehow. Would you say that this film is also a bit criticial of the fashion industry? It is critical, but not of any particular trend of fashion movement as I do like fashion. While it is criticism of how one person can wear something and then everyone else wears it too, I wanted this movie to intertwine both my passion for fashion as well as criticise the darker side of it. This film has also been included in a special DVD, New Directors from Japan by Third Window Films, how did you feel about having your film chosen? I am so glad that Adam (Adam Torel – Third Window Films) picked my movie, it was really great that he discovered me and gave me this chance to show my work to a foreign audience. I am now thinking of a new feature movie and this has been the perfect chance for me to also talk about my ideas and look ahead to what I will make next. 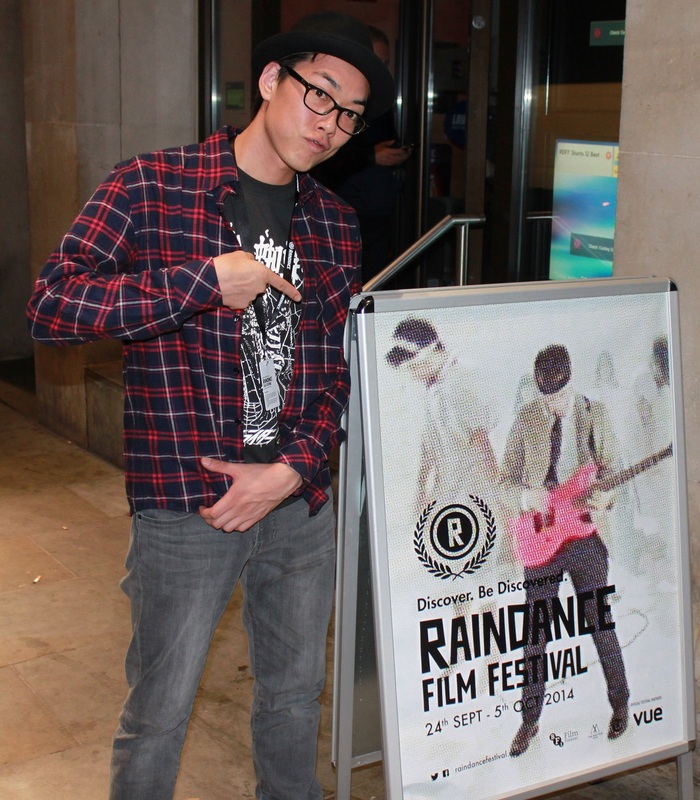 A big thank you to the Raindance Film Festival and to Third Window Films! 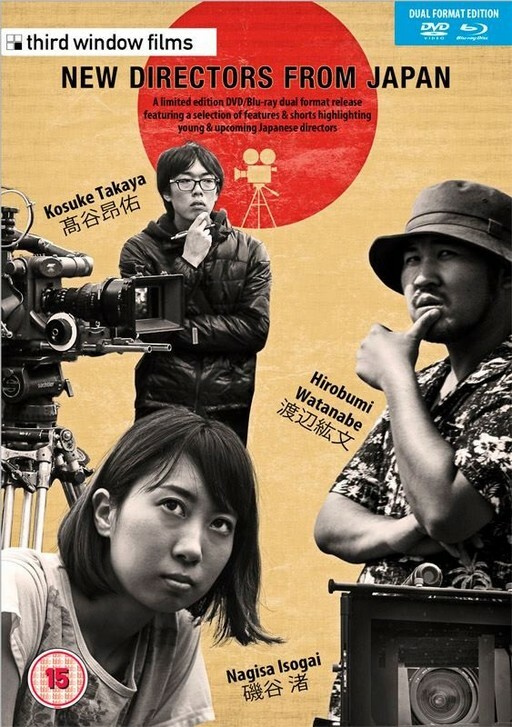 Below you can see a Japanese video about the project that Kosuke Takaya was involved in, NDJC – New Directions in Japanese Cinema (in Japanese).